Hello, dear mindfulness friends and colleagues. 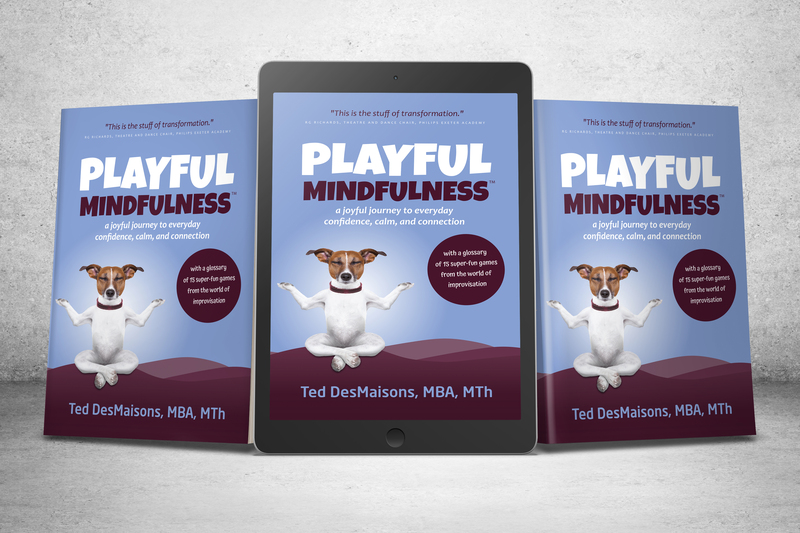 I’m excited to announce the release of my new book, Playful Mindfulness: a joyful journey to everyday confidence, calm, and connection. If you read it, you’ll clearly see influences from the MBSR world and the Mindfulness in Schools Project folks who helped me find more humor in teaching this stuff. The new element that I hope you’ll find both engaging and helpful: bringing in the insights, principles and practices of improvisational theatre, another tradition that knows a thing or two about being present, resilient, and connected with what’s actually happening. Also, I hope to put together a workshop/retreat/speaking tour later in the year. If you think your mindfulness community might be interested, let me know and we can talk further. I’m eager to share the fun! Best wishes to all for a wonderful Spring! Thanks, Shannon, both for reading and for listening! How did you hear about Monster Baby? And we played D.T. and it worked. And the troupe-mate stuck around and loosened up a bit. When we discussed it later, just he and I, he said it helped not just loosening up but also trusting us [his team-mates] to help him win. PS: The episodes with Mr. Joe Bill were fantastic. Also, I’m glad you survived the Great Refrigerator Scare. Oh, that is so awesome to hear, Shannon. The kind of story that we hope is happening out there in the land of podcast listeners. Thanks for letting me know and I’ll pass along word to Lisa. She’ll be psyched to hear. And I’m glad I survived too!